Worcester MA Bankruptcy Frequently Asked Questions | Brine Consumer Law How Much Debt Do I Need To File Bankruptcy? Can the court say “No” to my bankruptcy case? 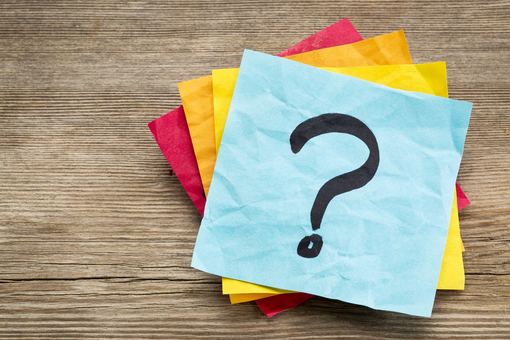 One of the most common questions my bankruptcy clients ask is whether their case can be rejected for some unknown reason. They fear that the judge won’t like them, or maybe he’ll think they were irresponsible with money. Thankfully, this fear is misplaced. The short answer is no: a bankruptcy case cannot be automatically rejected. Bankruptcy is your statutory right to relief from unaffordable debt. It is not subjective and you cannot be denied relief even in the unlikely event that the judge actually doesn’t like you or thinks that you were irresponsible. In fact, most clients never even see the judge. Here in Worcester, once a bankruptcy case is filed it is automatically assigned to a Chapter 7 trustee. The trustee is a court-appointed representative of your creditors. It is the trustee’s job to examine your case in order to determine whether you have any significant assets that can’t be protected, or if there are any other issues with the case. You and your attorney will have an in-person meeting with the trustee about a month after the case is filed. While you will testify under oath at this meeting, it is not a court hearing. It’s not even held in the court. Instead, it’s typically held in an office building on Main Street in Worcester. However, the longer answer is that there are of course some limitations on bankruptcy relief. There are some types of debts that normally aren’t dischargeable, such as domestic support obligations, most student loans, and some taxes. Most other types of debt will generally be dischargeable unless you committed some bad deed—fraud, concealment of assets, lying on your bankruptcy petition, etc. Some bad deeds can result in one particular debt not being dischargeable, while others can impact the entire bankruptcy case. Fortunately, this isn’t something that most people will need to be concerned with. My clients are honest, hard-working people who have had some unexpected event happen that wrecked their finances: job loss, divorce, medical problems, etc. Bankruptcy provides them a way to get a fresh start without any subjectivity or judgment. And unless you’ve previously committed some bad deed like fraud, you shouldn’t have any concern about a rejection of your case. If you are considering a Worcester bankruptcy filing, please call Brine Consumer Law to discuss your situation. All consultations are free. When Are Income Taxes Dischargeable in Bankruptcy? While there are a few types of debt that are never dischargeable in bankruptcy, income taxes are not one of them. However, income taxes are not always dischargeable either. There is a three-part test that income taxes must satisfy in order to be dischargeable. The tax return you owe on must have been due to be filed at least three years ago. The tax return you owe on must have actually been filed at least two years ago. The taxes you owe must have been assessed for at least 240 days. In most cases, if the taxes aren’t at least three years old, then they may not satisfy these requirements. However, IRS collection activity can complicate these time calculations. For example, a request for an offer in compromise may lengthen the time need to obtain a dischargeable status. Additionally, under recent court decisions, you may have difficulty discharging income taxes if your tax return was filed late, or if the IRS or MDOR filed a return on your behalf. Finally, these rules only apply to personal income taxes. Other types of taxes, such as sale tax or payroll taxes, are not dischargeable. How Will Taxes Impact My Case? If you owe significant tax debts, then there are two additional items that should be mentioned. First, if the IRS or MDOR already have a tax lien against your property, then in some circumstances, you may be able to reduce or eliminate the balance of that lien altogether. Second, and perhaps more important, is that the Worcester, Massachusetts bankruptcy court does not consider taxes to be “consumer debt.” This is important for people who might otherwise have difficulty qualifying for a Chapter 7 due to the means test. One exception to the means test is if more than half of your total debts are not “consumer debt.” In that scenario, you will automatically be eligible for Chapter 7 and no means test is required. Therefore, if you are dealing with significant tax debts, you should discuss all of your options with an experienced bankruptcy attorney. Contact Brine Consumer Law today for a free consultation. The myth that you will lose all your property from filing Chapter 7 is common. Unfortunately, it seems that this fear may be caused by simple terminology. A Chapter 7 bankruptcy filing is technically considered a liquidation. However, the vast majority of cases are considered “no asset” cases, in which the value of your assets has no impact on the case, and no property is lost. This is due to exemptions. An exemption is a state or federal law that allows you to protect a specific amount of value in your assets. For example, Massachusetts state law allows you to protect up to $7,500 in equity in your vehicle ($15,000 if you are handicapped or over the age of 60). Unless you have a newer vehicle without a car loan, odds are you may not have this much equity in it. Even if you do, though, there is also a “wildcard” exemption of up to $6,000 that can be applied to any asset. Therefore, depending on the value of your other assets, you may be able to fully protect a vehicle with up to $13,500 in equity. There are specific exemptions available for many other items too, including cash, bank accounts, furniture, clothing, and cars. 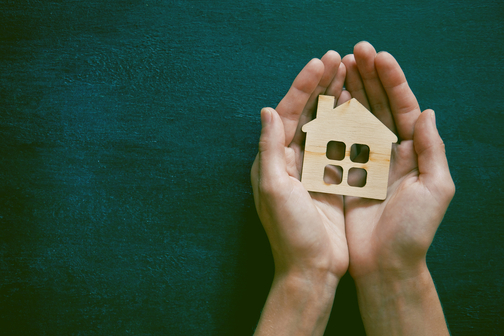 If you own your home and have a Declaration of Homestead filed, then you may be entitled to an exemption of up to $500,000. There are separate exemption rights under state and federal laws, and you are only allowed to use one set. Depending on your circumstances, then, it may be more beneficial to use either state or federal laws. What If My Exemptions Aren’t Enough? If the available exemptions are not enough to protect all of your assets, then you may still have several options to consider. You might choose to file a Chapter 7 anyway, and attempt to “purchase” the asset back during the case. Alternatively, you might file a Chapter 13 bankruptcy instead, which requires a payment plan. There is no loss of property in a Chapter 13, but you are required to pay the full value of your unprotected assets through the payment plan. Finally, you might consider non-bankruptcy options such as debt settlement, debt consolidation, or fighting debt lawsuits. 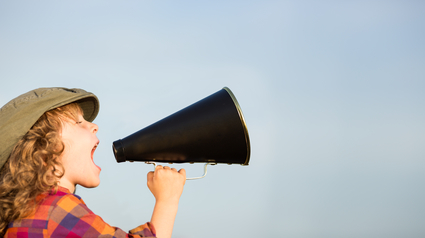 Where will your bankruptcy hearing be heard? When you must file a Chapter 7 liquidation bankruptcy or a Chapter 13 reorganization bankruptcy, you must file your petition and other pleadings in the correct bankruptcy court. You will also need to attend a meeting of creditors—also called a 341 Meeting—where the bankruptcy trustee and your creditors have an opportunity to ask you questions of your financial affairs in the bankruptcy court system where you filed your petition. Hearings in Chapter 13 bankruptcies, such as a confirmation hearing to approve your Chapter 13 plan, will also be held at this court. Here, we discuss the bankruptcy courts where your bankruptcy could be heard. Which Bankruptcy Court in Massachusetts Will Your Need to Go to for Bankruptcy Hearings? Boston. Barnstable, Bristol, Dukes, Nantucket, Plymouth, and Suffolk county bankruptcies are assigned to the Eastern Division in Boston. Worcester. Worcester county bankruptcies are the only bankruptcies assigned to the Central Division in Worcester. Springfield. The Western Division Bankruptcy Court hears bankruptcies for people living in Berkshire, Franklin, Hampden, and Hampshire counties. Middlesex, Essex, and Norfolk counties have been carved up between the Boston and Worcester courts, and you might not be assigned to the court you would expect. 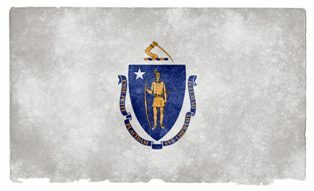 The following towns in Middlesex County are assigned to the Boston Court: Arlington, Belmont, Burlington, Cambridge, Everett, Lexington, Lincoln, Malden, Medford, Melrose, Natick, Newton, North Reading, Reading, Sherborn, Somerville, Stoneham, Wakefield, Waltham, Watertown, Wayland, Weston, Wilmington, Winchester, and Woburn. All other towns in Middlesex County are assigned to the Worcester Court. The following towns in Essex County are assigned to the Worcester Court: Andover, Bradford, Haverhill, Lawrence, Methuen, and North Andover. All other towns in Essex County are assigned to the Boston Court. The following towns in Norfolk County are assigned to the Worcester Court: Bellingham, Franklin, and Medway. All other towns in Norfolk County are assigned to the Boston Court. How Can You Know the Location Where Your Bankruptcy Case Will Be Heard? The bankruptcy court where your case is assigned will send you a Notice of Hearing that states the date, time, and location of your 341 meeting and any other hearings that you need to attend. Depending on the procedures of the court division where your hearing will be conducted, your 341 meeting may be at another location other than the court. Your bankruptcy attorney can also advise you of the location of your bankruptcy hearing and prepare you for what to expect at the hearing. 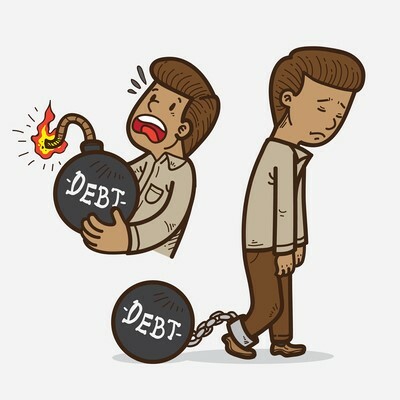 Do you need to file a bankruptcy to get out of debt? At Brine Consumer Law, we will guide you through the complexities of filing a bankruptcy and prepare you for your 341 hearing and any other hearings that you are required to attend. To schedule a free consultation to get started, call our office to schedule your free consultation.